Luckily, the blog comments as well as the contact form (see link above) are working again. Some images and download links have stopped working (feel free to let me know if you are in need of any of those). The category list has a bunch of weird categories only showing their IDs; I will get this cleaned up once I get to it. We have chatted before. I’m touching base with you to see how things are going. I’m currently running 3013.4 in our full dev environment and plan to deploy at the end of January. I’m running 2014 in my beta but don’t have a date set. The CC app works as expected and if you don’t have those versions running if there is anything you would like valadated. Have a great holiday! Scott. I really enjoy the output of your TfbNotes.exe and would like to use it as a Post-build script to generate a changelogs file for QA. However our QA team wants to see all the changes included in the latest build, not just the changes specific to it. They like to use it to research what has changed since the last released build and the current build. I thought maybe using the full flag would do that for me but it doesn’t. Is there a way for you to modify the program or make the source code available so that we could edit it for our purposes? @Joe: One way to work around this is to have a separate build definition for releases, as well as CI builds. In the long run, Release Management (in TFS 2015.2) might solve the issue in a better way, because you get the associated work items of the actually deployed bits per environment. If you are still interested to get a modified version of the tool which does a better job (for example by comparing the work items with the last released build), let me know. Please help me with the comparison between VS Online Vs. VS On-Prem. Does this post help? 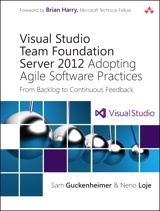 http://blogs.msmvps.com/vstsblog/2014/03/10/visual-studio-online-vso-vs-team-foundation-server-tfs/ ? Salam ou aleikum Mohamed . Sorry to disturb you but i need your help. I have a question about TFS and Gated Check-in Activity . My client asked me to put in place a system of build validation on each Check-in . The error is TF270012: There is no shelveset available to check in. Thank you very much for your help . @Issou: Did you have any chances and have you created a shelveset, when you queued the gated check-in build? We created Buid agents for CI builds since we incorporated UnitTests these builds are taking more then 2 hours, would like to reduce the build time, so thought to build CI builds on agent locally hitting the local database installed on the build agent box instead hitting the TFS server database. TFS 2013 Create a local build , hitting the local database and writing to local database instead real time TFS database server. is something possible can be done..? There are many ways what you could do to shorten your CI build time. 3) a set of longer running unit tests, as well as integration and UI tests that run at least once a day, or on separate build agents to not block your CI flow. The contact form at teamsystempro.com/contact does not seem to work at the moment…. What is the status for the import / export toll on area path for TFS 2015? @René: Thanks for letting me know. The contact form should be working again (feel free to use it). I do have a working version of the Area Import/Export Tool for TFS 2015. Feel free to contact me via the form so I can send you a link to try. I have a question regarding exporting the changeset and work items to a file. I’ve also posted the same question on the blog below. Is there any way I can get this to work with TFS 2012? 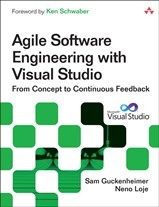 If not, do you have any suggestions or examples on how would I achieve the same output with TFS 2012? @Miki: I replied to your comment on the mentioned blog posts. Ssrry it took so long!